Saudi Arabia’s stock index went down 3.5 percent on Sunday’s early trading after the kingdom said Saudi dissident Jamal Khashoggi died in a fight at its consulate in Istanbul. Al Rajhi Bank dropped 2.4 percent, while Saudi Basic Industries Corp fell 3.7 percent. The Saudi index slumped as much as 3.5 percent in early trading, before reducing losses later in the morning. U.S. President Donald Trump joined European leaders on Saturday in pushing Saudi Arabia for more answers about Jamal Khashoggi after Riyadh acknowledged that the journalist died more than two weeks ago at its consulate in Istanbul. The drop in Saudi stocks follows falls in the index early last week because of concern the Khashoggi case could trigger U.S. sanctions against Riyadh and shrink inflows of foreign investment. The market stabilised later in the week as state-linked Saudi funds bought blue chips in a support operation. Other regional markets also opened down. Dubai’s main index slipped 0.8 percent, with Dubai Islamic Bank falling 2.1 percent and market bellwether Emaar Properties dropping 0.8 percent. In Abu Dhabi, First Abu Dhabi Bank slipped 1.4 percent, while Emirates Telecommunications Group (Etisalat) dipped 0.6 percent. 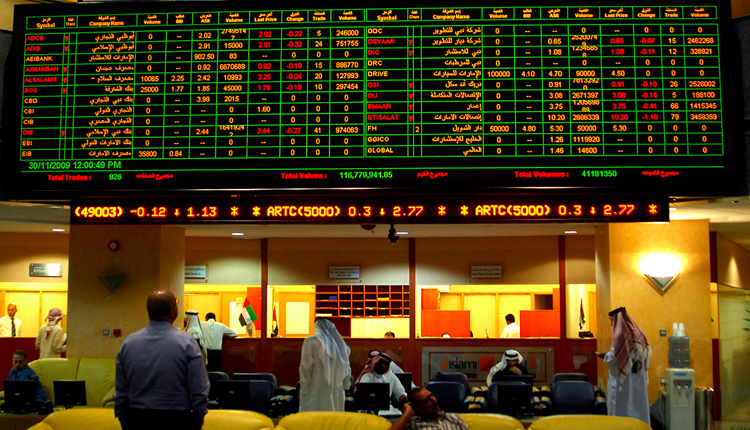 Abu Dhabi’s main index was down 1.0 percent. In Qatar, Masraf Al Rayan fell 0.5 percent, while Barwa Real Estate Co sank 0.7 percent. The index was little changed, 0.1 percent down.